Goodness Grains used to make my favourite GF bread, it was an Olive and Sundried Tomato Loaf, it was glorious smeared with a good thick layer of butter and the perfect bread to serve with antipasti. I don’t see it on their website anymore and it definitely hasn’t been in stores for a while but my fingers are crossed it will make a come- back. 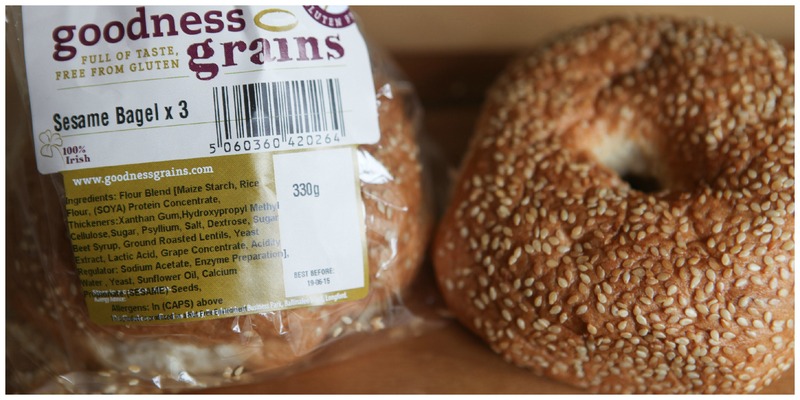 Of all the gluten free breads out there I think that Goodness Grains make the best. The texture and flavour are good, it is usually really soft and fresh and great for making sandwiches. I am also a big fan of their Apple Danish which has made for a great emergency breakfast if I am heading to the airport or train station early in the morning. All around their product range is solid and although you can’t get everything in their range in stores they do have a very user friendly website and I am definitely going to order one of their GF croissants sometime. I am lucky in that my local supermarket has a fairly good gluten free range so I was able to pick up a bag of the Goodness Grains bagels for myself and they were only fine I am sad to say. As a bread bun they were great , soft and light and nicely flavoured with sesames seeds and I definitely think I would use them for sandwiches or as burger buns in the future but a good bread bun does not a bagel make and they were lacking in the dense chewy texture that makes a good bagel. If I were to compare them with the Be Free Bagels, which gets much closer to my admittedly ten year old memory of what I real bagel feels like to eat, I would have to say they don’t really compare and they are more expensive. 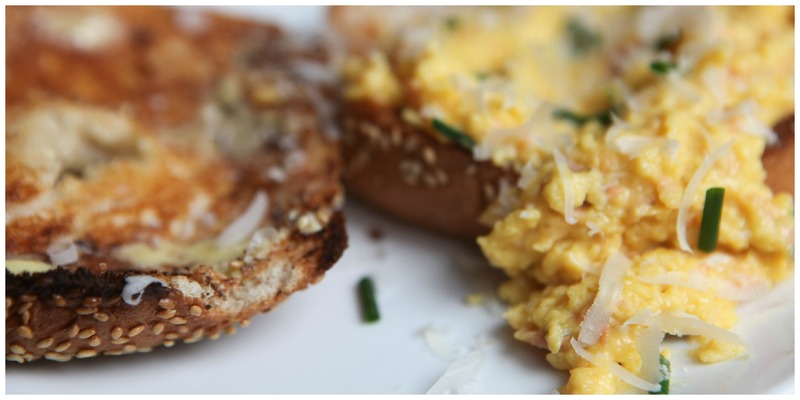 However although they lacked the proper bagel texture they are still a tasty bread roll and I did have another bagel, toasted and topped with creamy scrambled eggs embellished with chives, smoked salmon and a good grating of parmesan cheese the following morning. 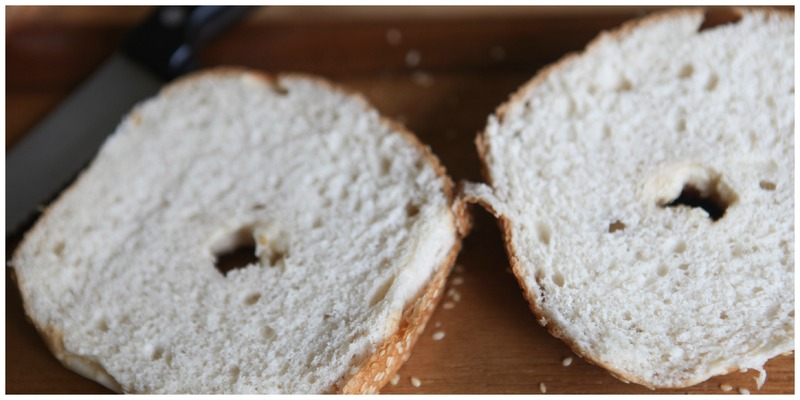 Just putting a hole in the middle of a bap does not make a bagel, a bagel is in the texture and taste not in the shape and if I could but a pack of rolls made to this recipe but without the hole I think I would be more inclined to make a second purchase. That said I would recommend you try the Goodness Grain range and I do sincerely hope they start making that Olive and Sundried Tomato loaf again!